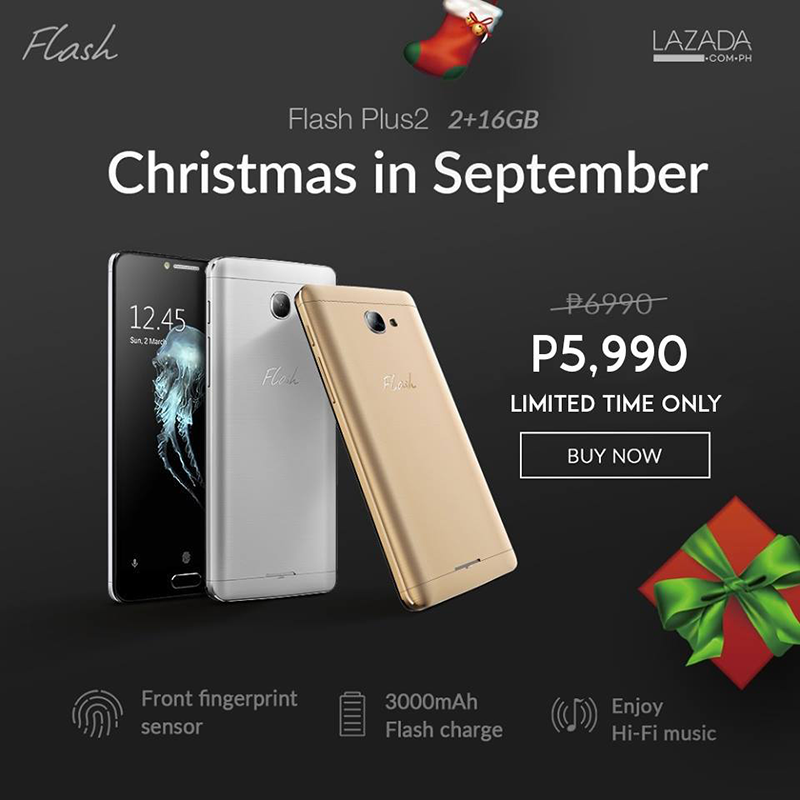 Flash Plus 2 With 2 GB RAM Is Now Priced At Just 5990 Pesos! Home / flash / mobile / news / Flash Plus 2 With 2 GB RAM Is Now Priced At Just 5990 Pesos! Deal alert! Previously, Flash Philippines had several price cuts of the Flash Plus 2 and they're not done yet. Based on the recent listing found at Lazada's website, the company decided to cut the price of the Flash Plus 2 once more. In case you missed it, the Flash Plus 2 is a highly capable entry-midrange price that boast high-end features. It comes with a solid metal case, 5.5 inch FHD screen, powerful 64 Bit Helio P10 chip, 13 MP f/2.0 OV13853 w/ Mixed AF, fingerprint scanner, AKM4375 DAC, NX9890 amp, and runs on Android 6.0 Marshmallow OS. They decided to go all out and price this metal covered phone with sleek design at just 5,990 Pesos. That made the handset the most affordable phone in the country today that loads with this kind of setup right now.